Philadelphia might have a deadly reputation and earned a horrid moniker (Killadelphia) for its endless, fatal shootings. But that hasn't stopped Indians from making a beeline to the city and its suburbs. 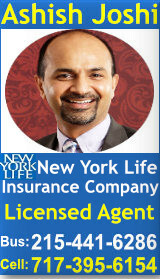 Indians in Philadelphia work as personal injury, DUI/DWI and immigration attorneys, IT systems administrators, DBAs, tax consultants, locksmiths, bookkeepers, scientists at the nearby pharma research centers in Exton or Wilmington, motel, restaurants, Dunkin Donuts and retail store managers and employees. Plus, the University of Pennsylvania and Wharton Business School are major draws for both faculty and students. Besides Gujaratis, Tamils and Telugus, Philadelphia, King of Prussia and Bensalem are also home to a large number of migrants from the South Indian state of Kerala. According to the 2010 Census, of the 103,026 Asian-Indians in Pennsylvania, 90,286 live in Philadelphia Metropolitan area. This number, however, does not include the illegal desi residents whose numbers are raising across the U.S.
Over the years several Indian restaurants have come up in Center City, University City, Northern Philadelphia, Market East, Rittenhouse Square in Philadelphia and in nearby towns like Exton, Bensalem, Upper Darby, Doylestown etc. Sporting names like Taj India, Tandoor, Saffron, Sitar, Moghul, these Philadelphia Indian restaurants cater to both desis and non-desis. 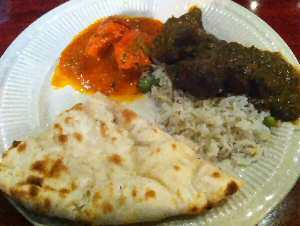 And, many of these Philadelphia Indian restaurants offer all you can eat buffet for lunch and a la carte menu for dinner. Bollywood movies are released every week in Regal Cinemas in the nearby towns of West Chester and Doylestown. Whether it is Bharat or any other Indian movie, you can be sure it will release in Philadelphia on the same date as India. Philadelphia now has several Hindu temples that cater to the spiritual requirements of growing Indian community. Bharatiya temple, Samarpan temple, Vraj temple are three of the major Hindu temples in greater Philadelphia. 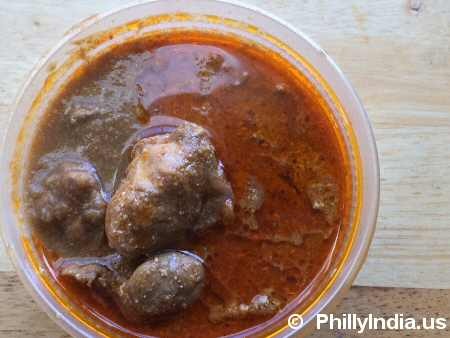 Featuring Indian restaurant reviews, movie reviews, Hindi movie showtimes, travel agents, immigration attorneys, temples and more, PhillyIndia.us is your best guidepost to the Indian experience in Philadelphia.